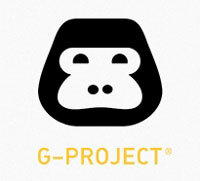 Disclosure: I participated in a campaign on behalf of Mom Central Consulting for G-Project. I received a G-Go and G-Zip to facilitate my review. The summer season is the time to get outdoors and enjoy all that nature has to bring! From lazy days at the pool or beach to productive ones working in the yard, there are plenty of reasons to head outside. Whether I happen to be hard at work or hard at play, I love listening to my favorite music while I'm at it. If you're also a music lover at heart, then be sure to keep reading about two portable speaker choices from G-Project that will have your summer tunes sounding better than ever! If you're looking for an affordable and attractive Bluetooth speaker to help deliver those summer tunes, then the G-GO from G-Project is a great choice. 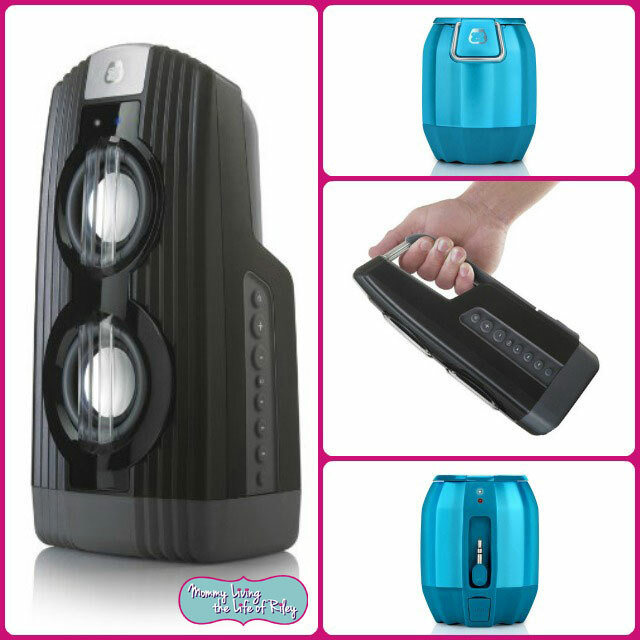 This speaker is a little large to be truly portable, though it will fit in a backpack or large beach bag just fine. It's pretty light and easy to carry too, and most importantly, it is water resistant. It comes complete with an AC Power Supply and Aux Line-In Cable. The G-GO is very rugged and designed to be used in the kitchen, bathroom and shower, beach, pool, patio and other environments with potential exposure to water. G-GO makes it easy to stream and share audio wirelessly from any Bluetooth capable device to listen to music and audio for movies, video games, and apps. It's super easy to pair your Bluetooth device of choice with the G-GO. Just make sure you're device is within 30 feet and presto! G-GO can also be powered with 4 "AA" batteries for up to 8 hours of play time and when in AC wall power mode, G-GO can also charge your device with an integrated, universal USB charging port. The best part about G-GO is the amazing sound it delivers! I couldn't believe how much bass and overall volume this speaker emits. Don't let the G-GO's small stature fool you...this little speaker can jam! My husband and I were working in the yard all day and we had our favorite tunes playing loud and clear with the volume only up half way. If we turned the G-GO up as loud as it would go, I'm afraid my neighbors would complain. Now that's one powerful little speaker! G-ZIP is a truly portable wired speaker that is ready for action anytime, anywhere. It's small enough to fit in your hand and loud enough to start a party. The G-ZIP is also super lightweight and compact and I LOVED the funky turquoise color I received. Toss it in your bag, purse or backpack or even clip it onto a strap. The G-ZIP isn't Bluetooth enabled, but because it's so small and contains a retractable line-in cable, it will look great nestled next to the music player of your choice. I wholeheartedly agree that both the G-GO and G-ZIP speakers from G-Project are a must-have for those long summer days. If you are a music lover who takes the quality of the sounds you listen to seriously, then by all means the G-GO and G-ZIP should be your newest summer accessories!